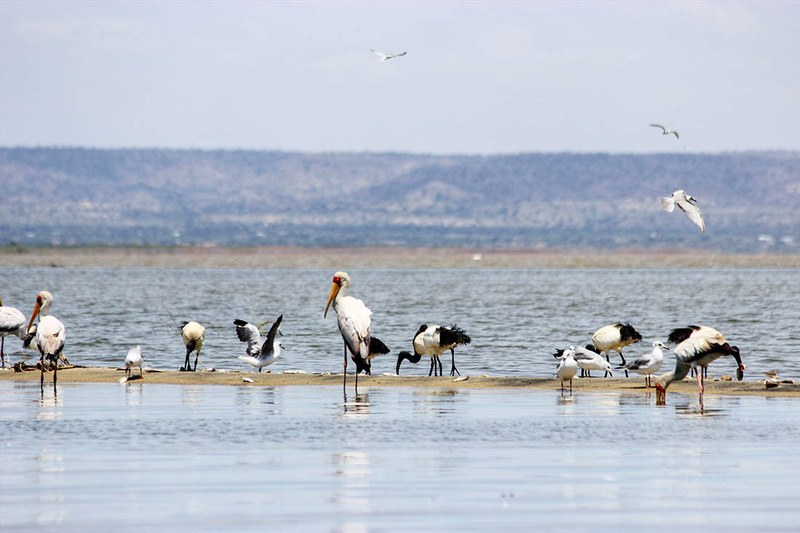 Far flung and lying in the vast remote arid lands of northern Kenya, the lake is not what you would call a typical tourist destination. 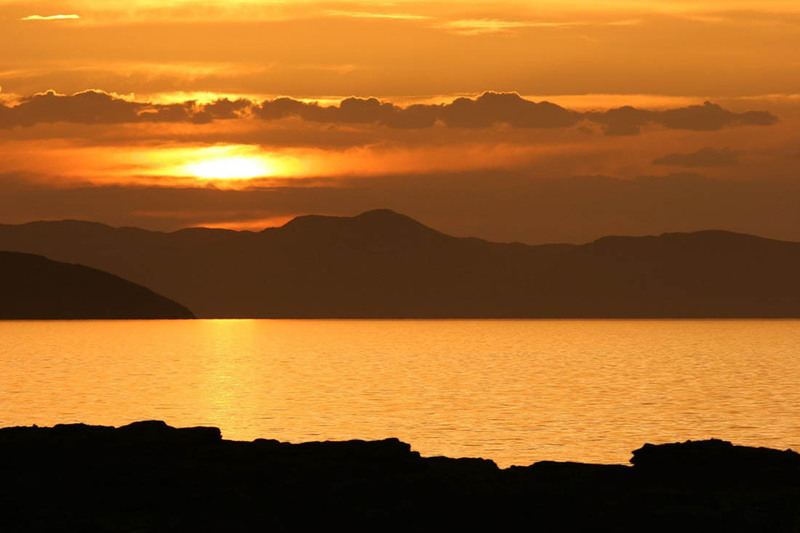 It is however a pleasant change from the usual wildlife and beach attractions that the country is famous for. 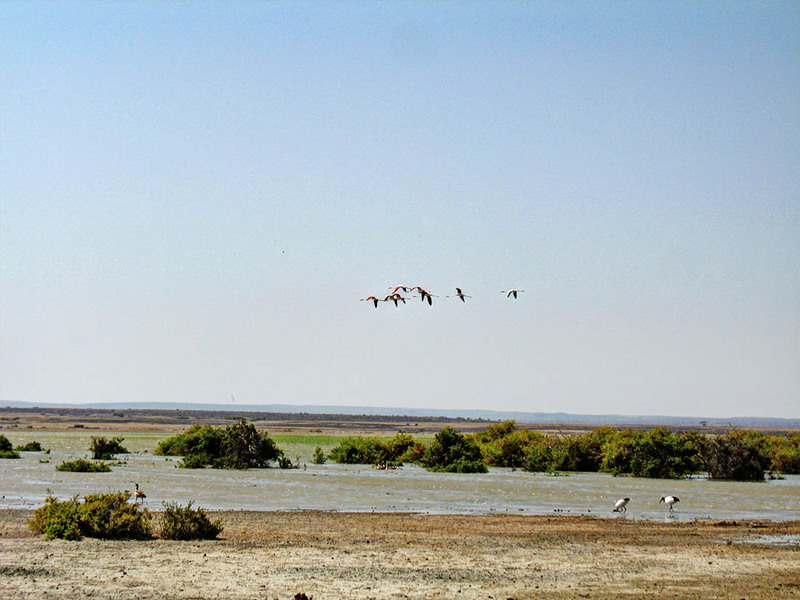 It is unique in that it is the most saline of Africa’s lakes and also the world’s largest permanent desert lake – a miraculous anomaly of life-giving water in a parched and unforgiving land. 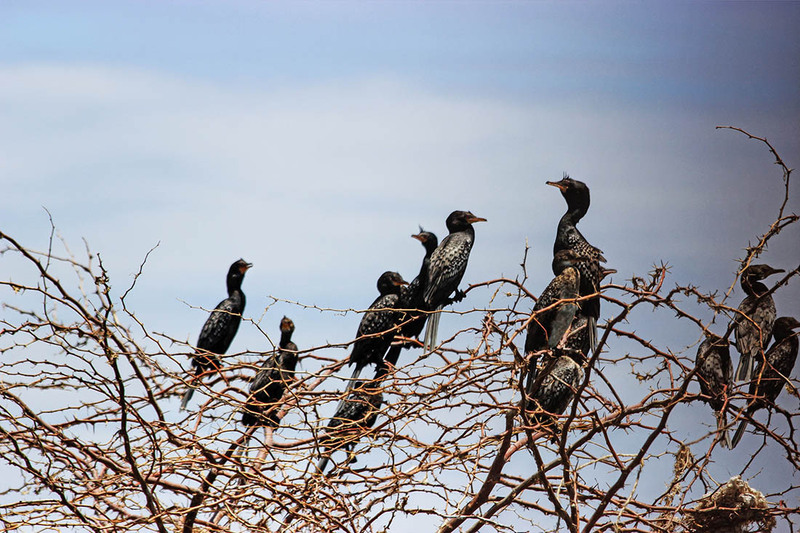 Lake Turkana region is home to hundreds of species of birds native to Kenya and is also an important flyway passage and stopover for Palearctic (denoting a zoogeographical region consisting of Europe, Africa north of the Sahara, and most of Asia north of the Himalayas ) migrant birds. 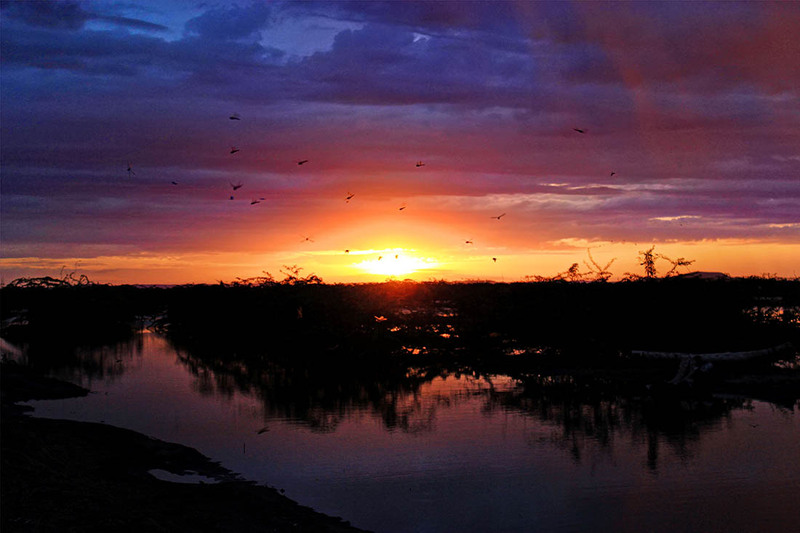 The birds are essentially supported by plankton masses in the lake, which also feed the fish. 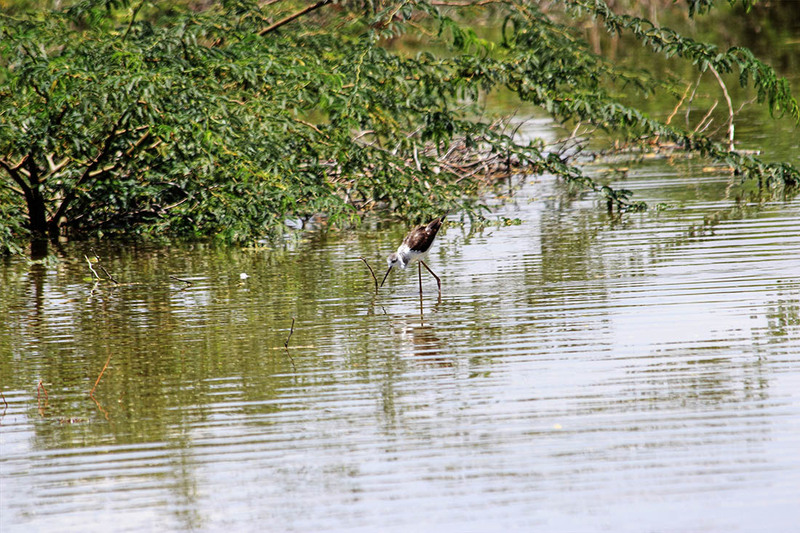 A total of 84 water bird species, including 34 Palearctic migrants, have been recorded here. 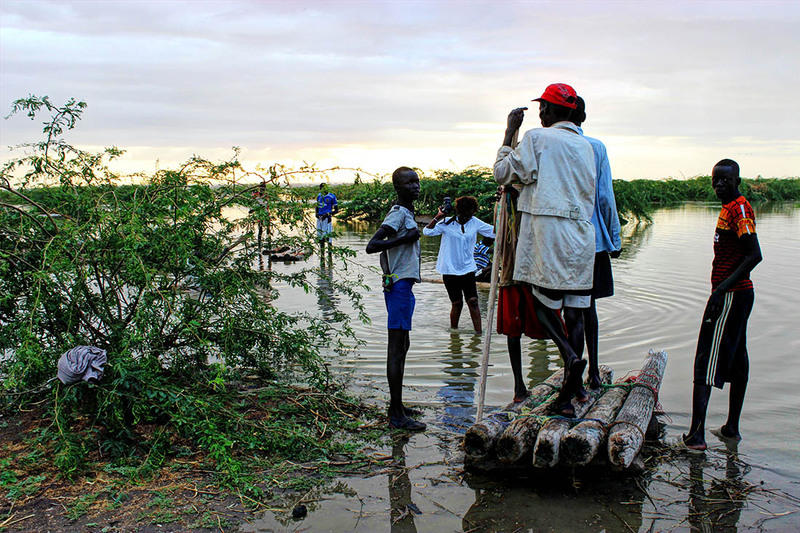 I took most of these photos on the western shore of Lake Turkana next to a little fishing village near Kalokol. 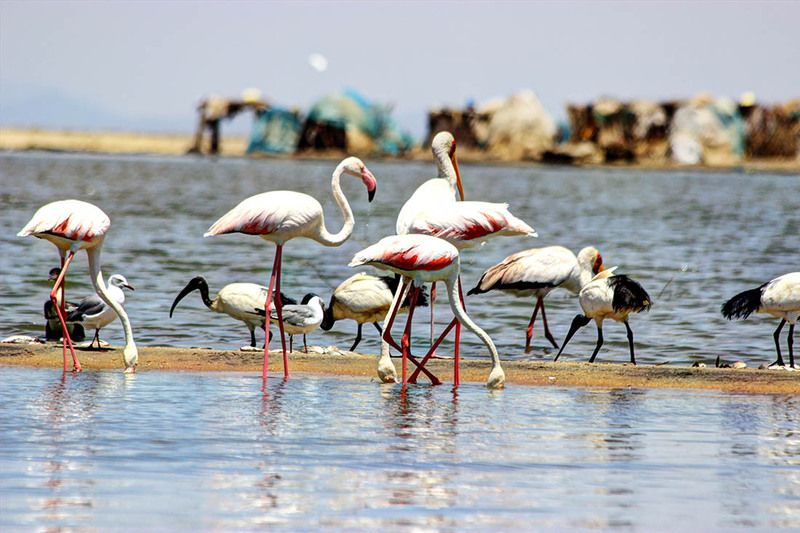 The greater flamingo is instantly recognizable by its long, thin neck and legs, colorful plumage and distinctive downward-bending beak. 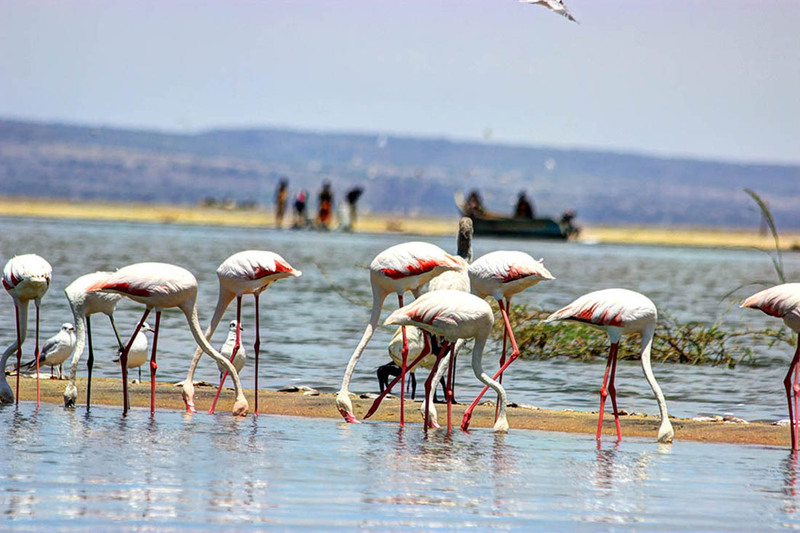 It is the largest of the flamingo species and also the palest, with white to pale pink plumage, contrasting red shoulders, and black tips to the wings. The female is smaller than the male, and juveniles are grey-brown with some pink in the under parts, wings and tail. 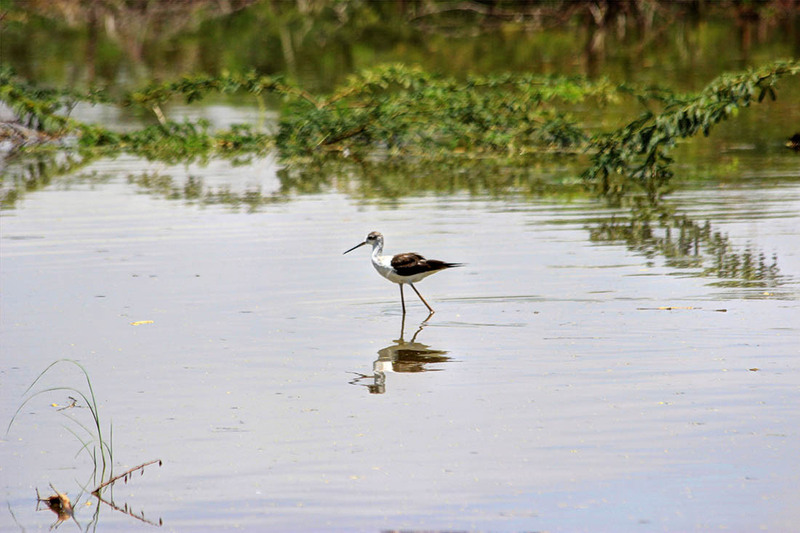 The legs and beak are mainly brown . The call is a goose-like, honking ka-haunk. 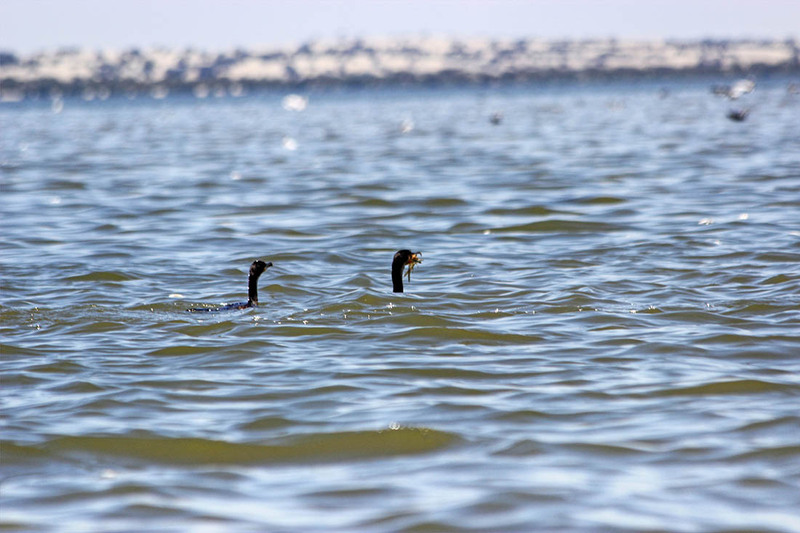 The cormorant (Phalacrocorax carbo), a large water bird, has a long neck, giving it something of a primitive, reptilian appearance. Adults are black with a bluish or green sheen. At the base of the bill is an area of bare, yellow skin surrounded by white. In the breeding season there is a white patch on the thigh, and throughout the year a variable amount of white occurs on the crown and back of the neck. 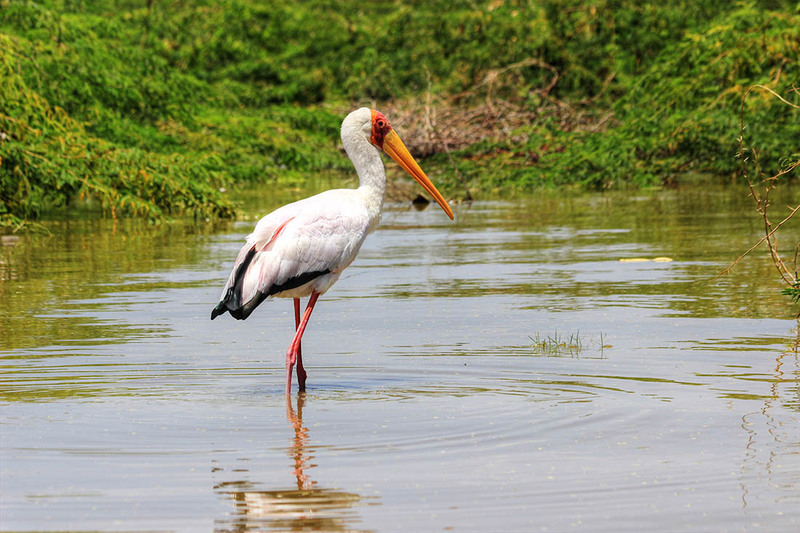 The yellow-billed stork (Mycteria ibis) is a large wading bird, which is most easily distinguished by its black tail and long neck. It also has a characteristic yellow bill, with red skin at its base that extends onto its face. The bill is long, blunt and slightly downward-curved, perfectly adapted for catching its prey. 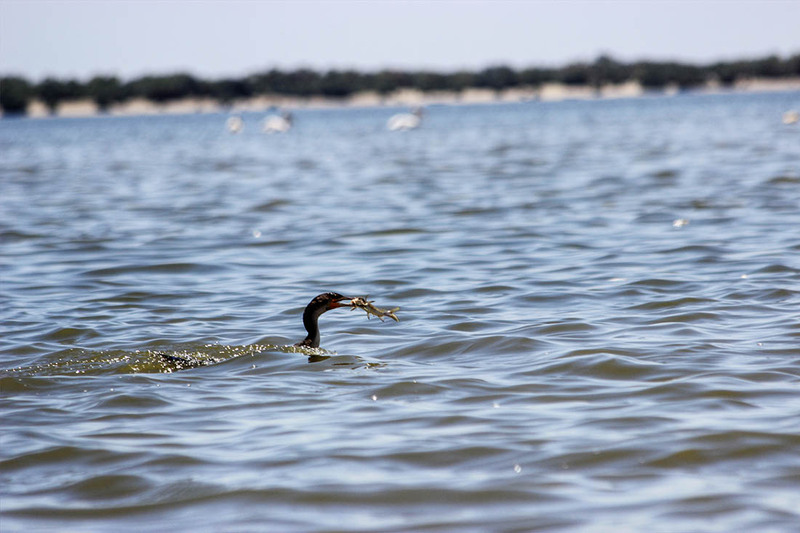 It has long, brownish legs, used to stabilize the body while searching in water for prey. 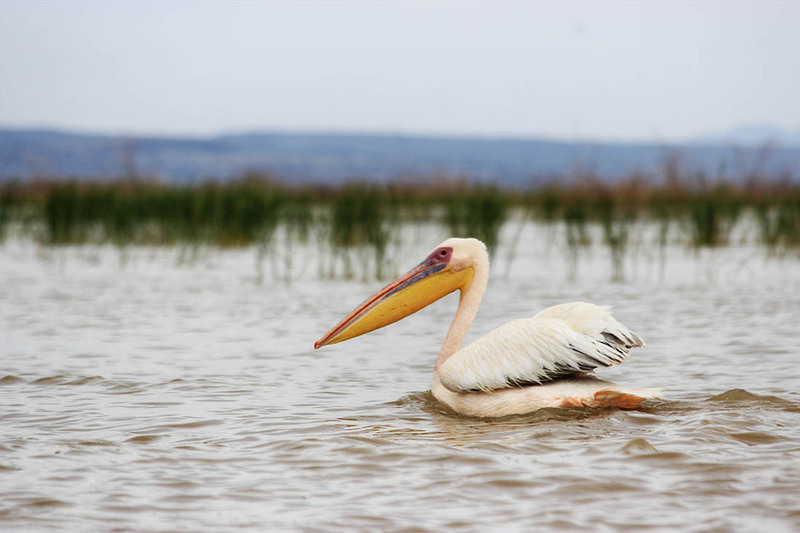 The Pink-backed Pelican is a relatively small pelican though by no means a small bird. The plumage is grey and white, with a pinkish hue on the back occasionally apparent (never the deep pink of a flamingo). The top of the bill is yellow and the pouch is usually greyish. Breeding adults have long feather plumes on the head. 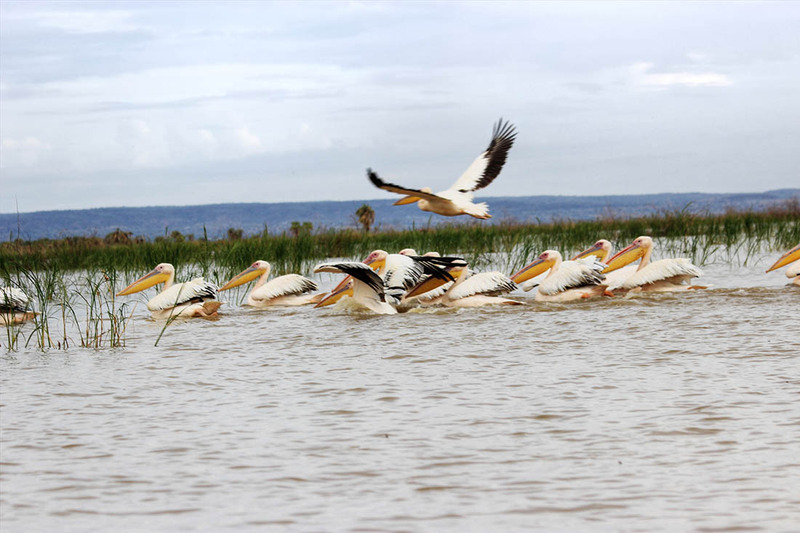 It shares habitat with the great white pelican which is generally larger and has white instead of greyish plumage. 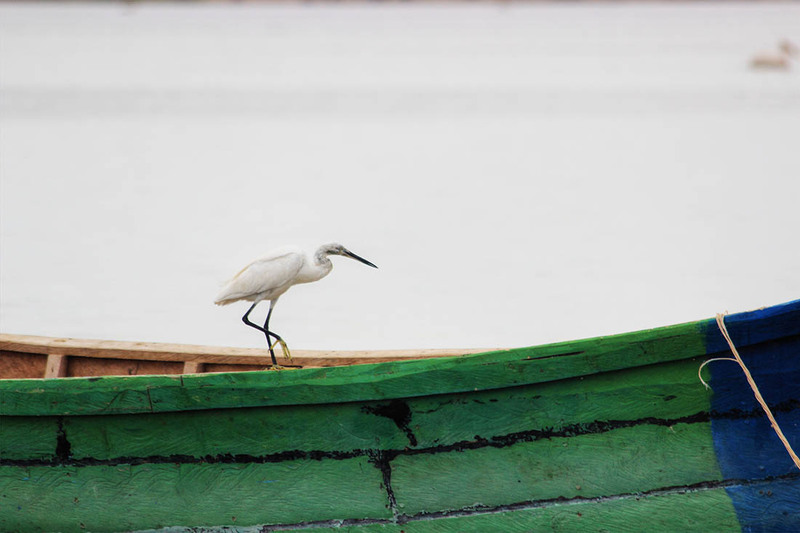 The Little Egeret is member of the heron family can be identified by its pure white feathers; elongated, sinuous neck; long, black legs and dark, stabbing bill. 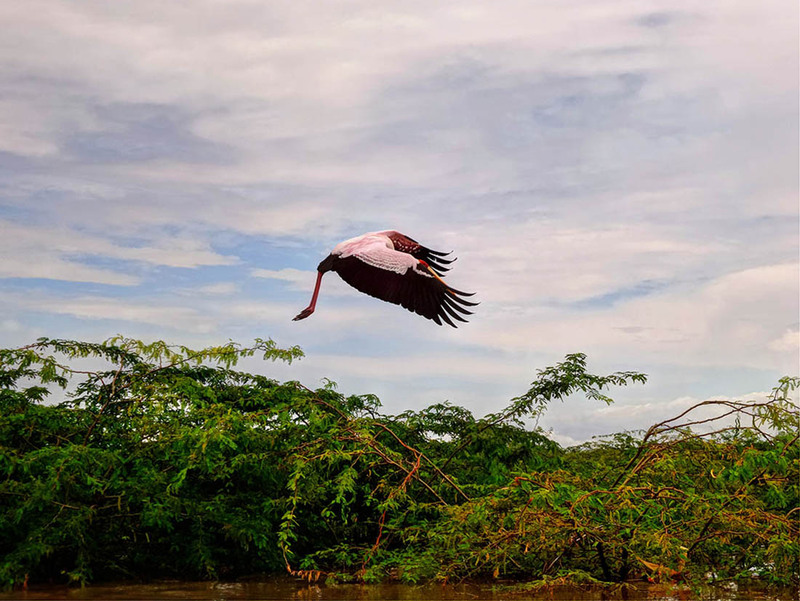 Besides the birdlife, the lake boasts one of the world’s largest population of Nile crocodiles which survive on giant Nile perch, which in turn feeds on a profusion of blue-green algae. 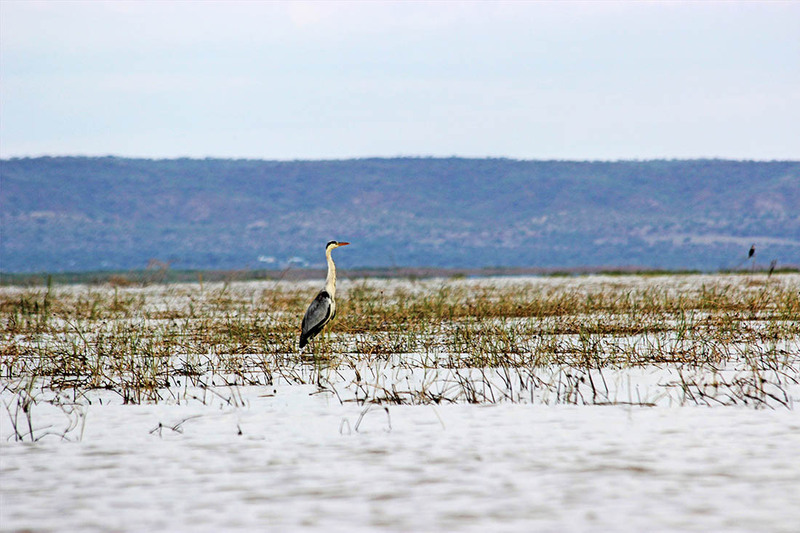 This prehistoric lake has also known as the cradle of humankind: its shores having revealed the oldest-known fossil. The area is also home to several tribes who have become masters of wresting sustenance from the harsh landscape. 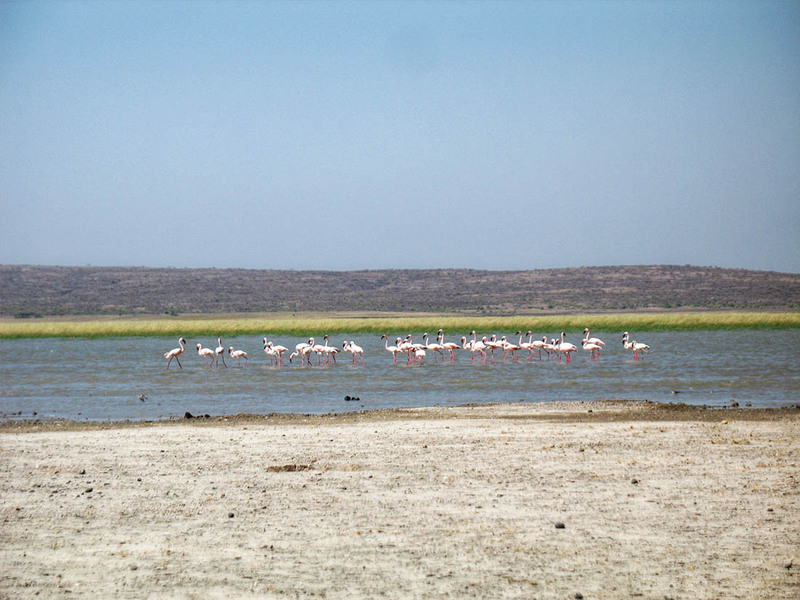 Regrettably Lake Turkana and its inhabitants now face an environmental catastrophe. 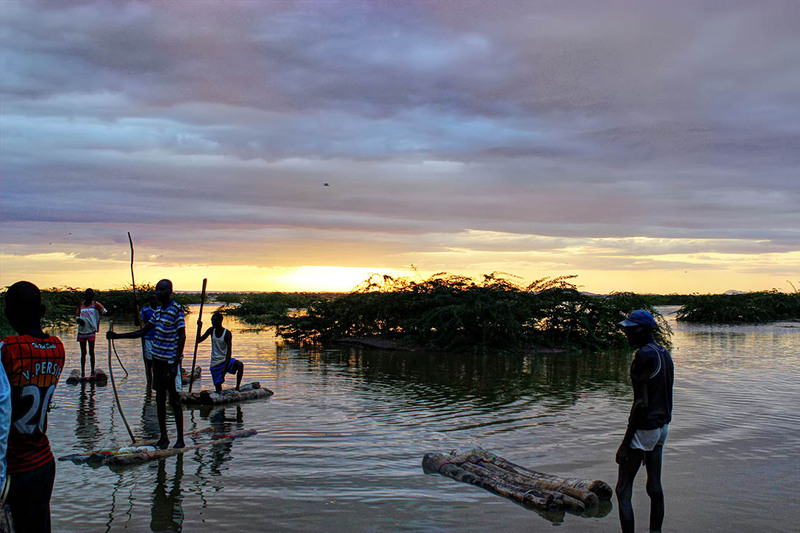 The lake could start drying up due to its main source, the Omo River being dammed. 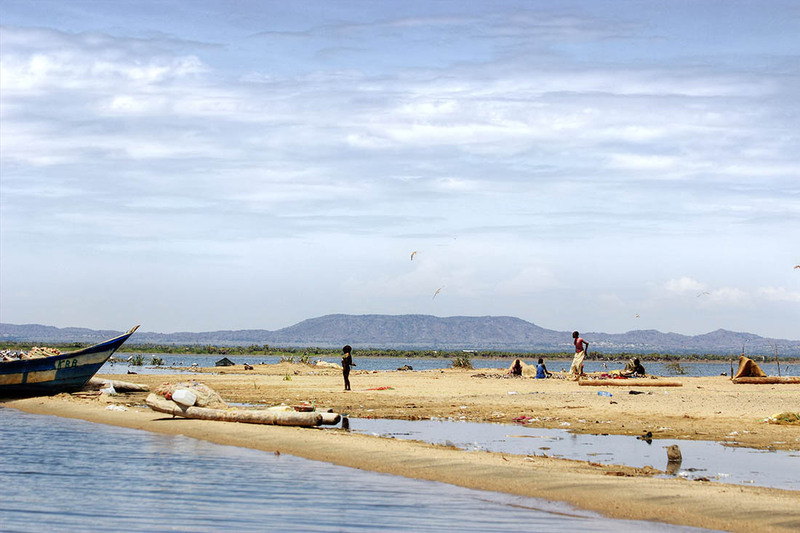 In 2008 Ethiopia begun building the Gibe III dam along the Omo river. 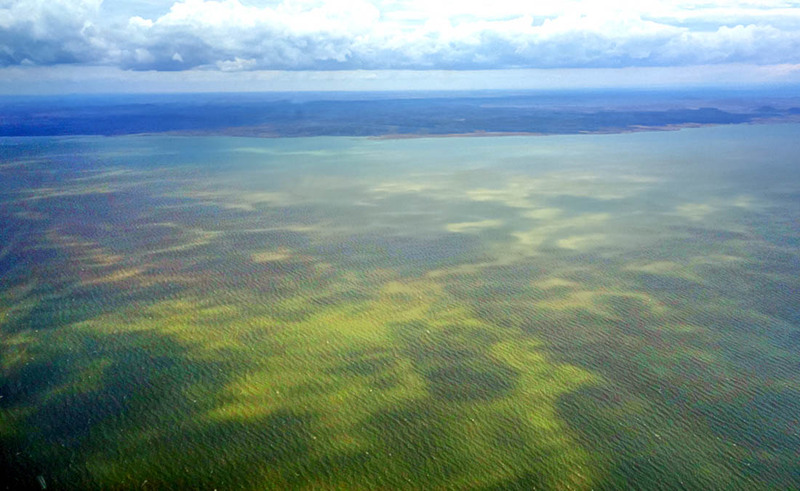 The Omo river contributes about 90% of Lake Turkana’s inflows. 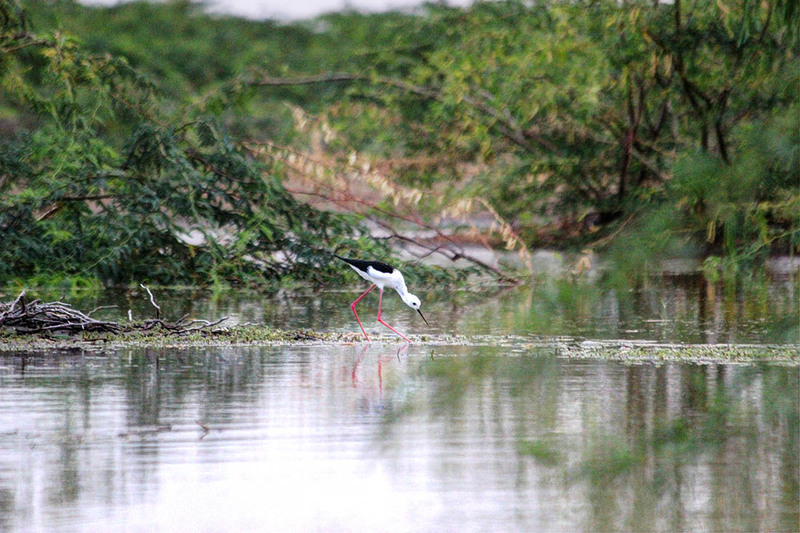 Despite several objections to the building of the dam due to environmental concerns construction has still continued. 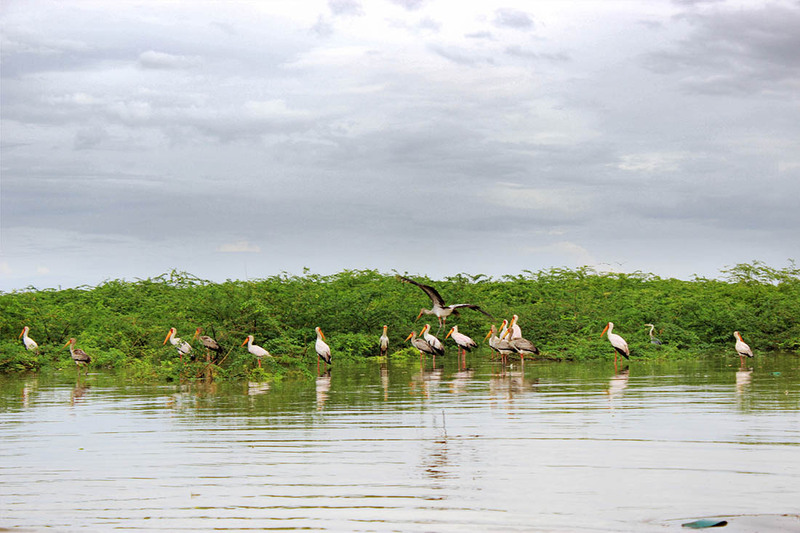 During the first year of the filling of the dam’s reservoir, 60-70% of the Omo River’s flow will be held back. 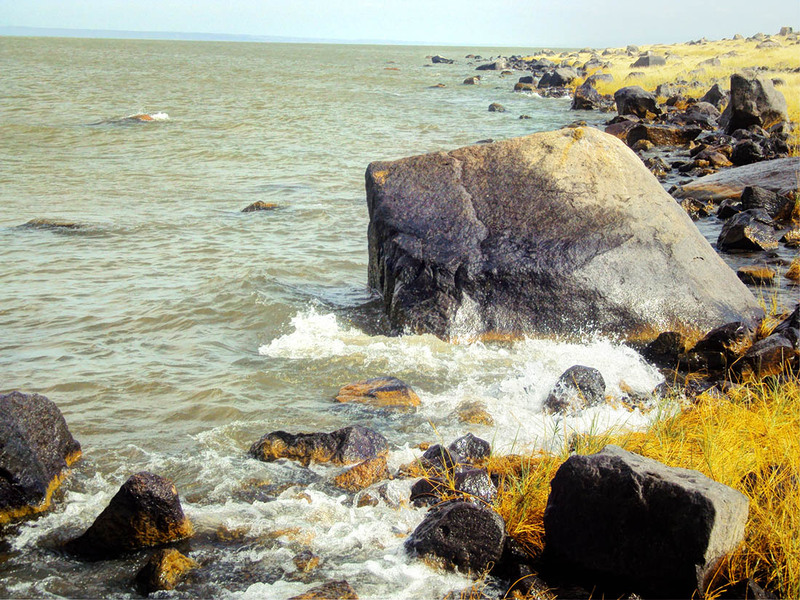 Levels in Lake Turkana are expected to fall 2 metres in the first 1-2 years of the dam being filled. 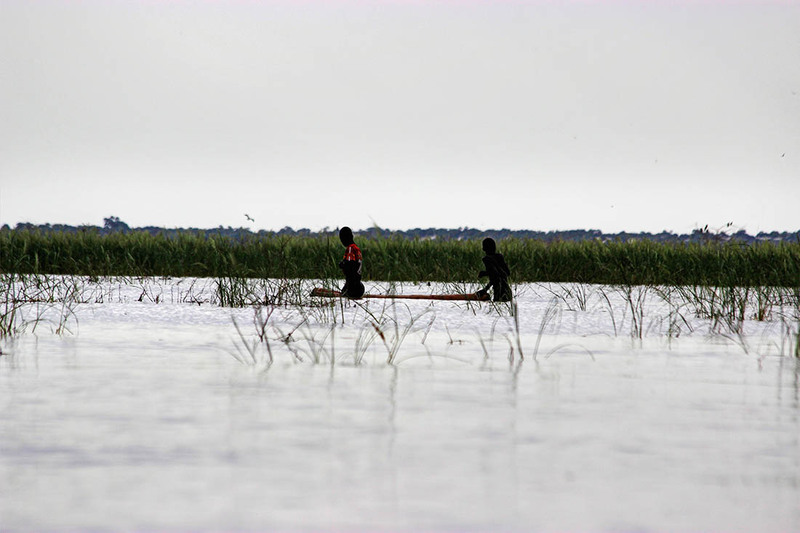 Furthermore irrigation projects in the Lower Omo could contribute to further lowering of the lake’s levels. It is predicted the level of the lake might fall to 22 metres. Currently the average level is around 30 metres. 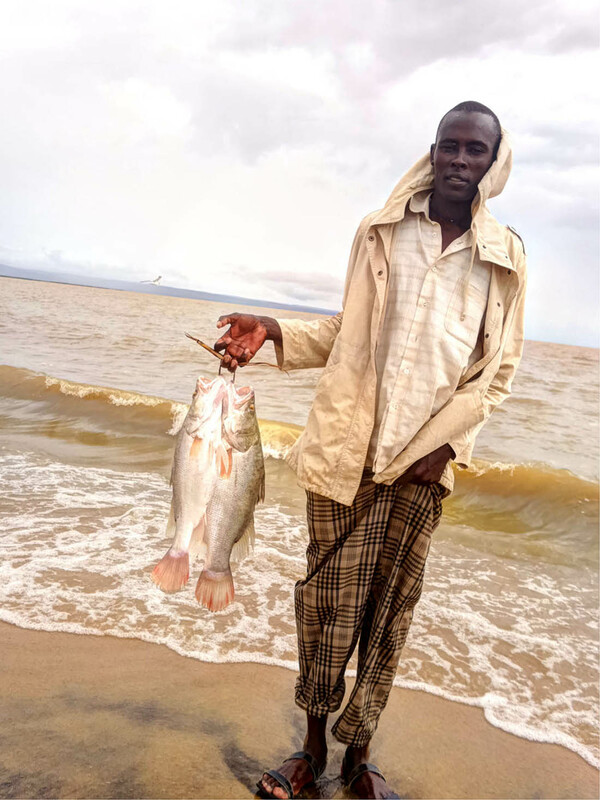 Studies have also shown a positive correlation between lake levels and annual fish catches. Around 100,000 people live on the lakeshore and it is estimated that around 300,000 people depend on the lake for their livelihood. 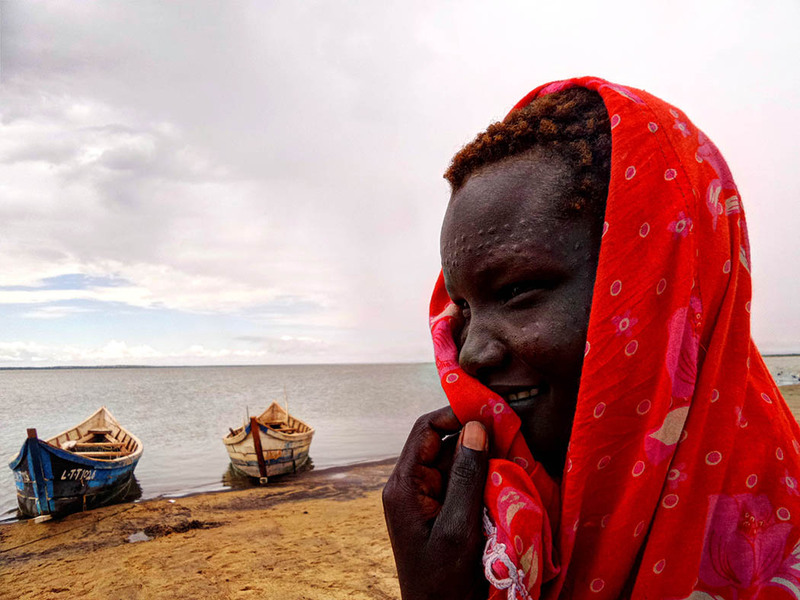 I would love to visit the lake again and would advise anybody looking for adventure off the beaten path to visit the Lake Turkana region. 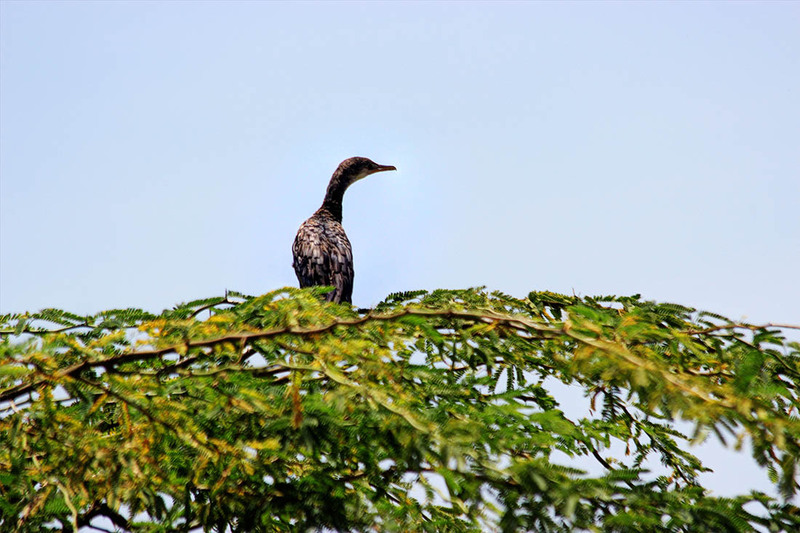 Shout out to Dave Cole whose post on the birds of Amboseli inspired this post and made me a keener observer of birdlife in my surroundings. Such a beautiful lake and beautiful pictures to match! It’s unfortunate that warnings regarding dam construction aren’t being heeded. I love that your blog is bringing all of these conservation issues in Kenya to light. It definitely makes me think about how tourists like me can best support the environment there. I didn’t realize that a lake could exist in a desert. It’s beautiful. Did you have a birding guide with you? I learned so much reading this, and I can’t believe how many different species you captured in your photos. That’s really awful about the dam’s impact on the lake level. It reminds me of an article I read in National Geographic of the damming of the Mekong and how it will affect the levels of Tonle Sap lake in Cambodia which people rely on for their livelihood. I suppose that in the quest to benefit “the greater good” someone ends up on the losing side. I did not have a guide. I spent lots of time on Google looking up birds, I learnt on the ‘job’. My friend lives in Laos and we had a discussion about the damming of the Mekong. Nobody ever cares about those who depend most on the rivers/lakes for their livelihoods. Hi Rachel, what an interesting post. I’ve never seen a pink backed pelican before. I noticed a few Ibis in with the flamingo, we have heaps of ibis here in Australia. I do feel sorry for the people living around the lake and those depending on it. It has some big fish in it. Thanks for including the photo of the girl in red – she’s beautiful. Wow…just stunning photos, Rachel. I learned so much about the diverse birds here. I love those greater flamingos and pelicans. You did such a great job capturing their movements. What a beautiful region to visit! 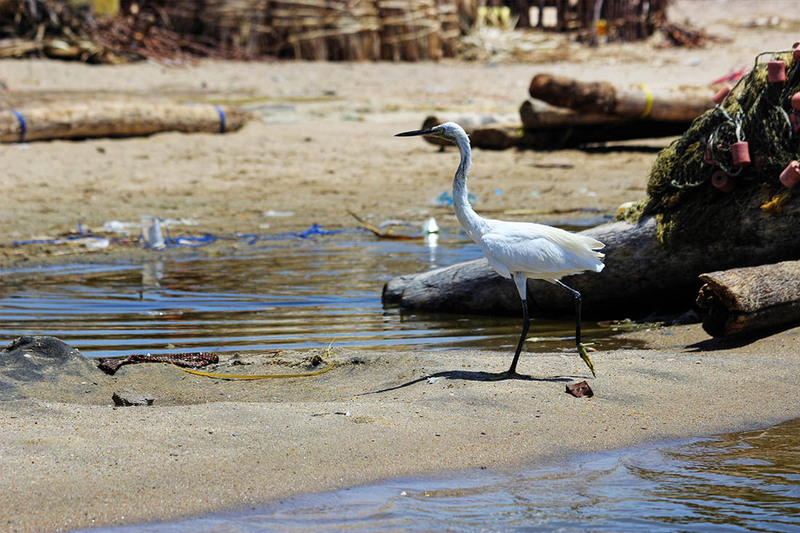 It is sad to hear about the plight of the lake. Here’s hoping something turns out for the people around the lake. Awesome stuff. 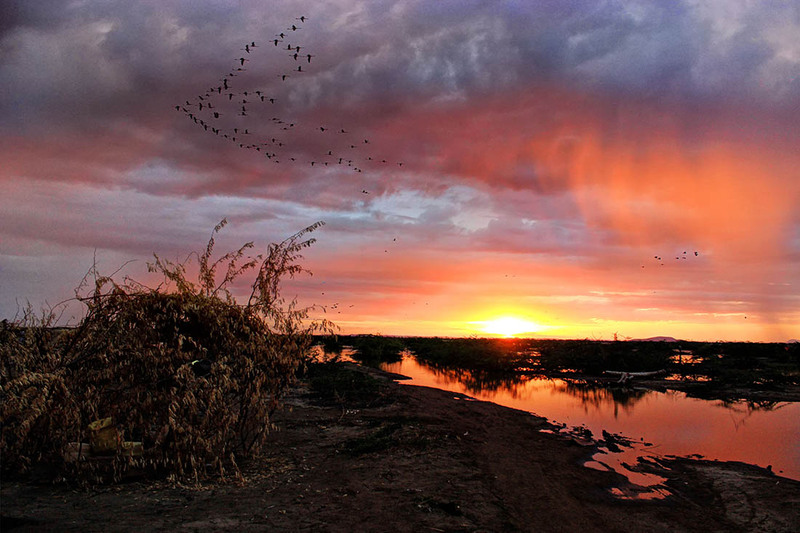 I just added L. Turkana to my list of places I have to go to soon. 1. How did you get there? 2. Hows the security if I were to go by road? 3. 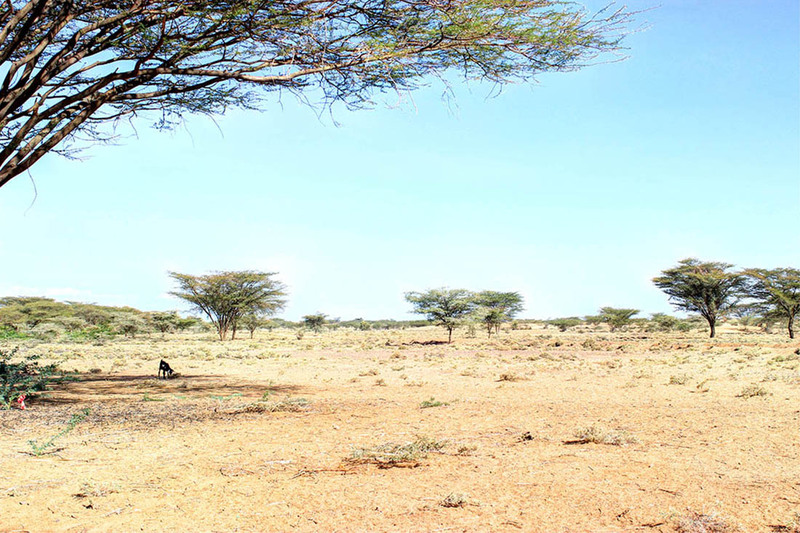 Any travel companies you would recommend that do trips to L. Turkana? Thanks a lot for your stories.